The people who actually get married at a wedding have so much to do—write the vows, master the cadence of the walk to the altar, personally greet everyone in attendance—that it leaves a miniscule amount of time to really take in the whole affair. One iconic fighting game competitor, however, felt it was important to also squeeze in a few rounds with some long-standing rivals after his nuptials were sealed. Tatsuya Haitani is one of the most accomplished fighting game players in the world. Widely regarded as one of the five gods of Street Fighter, he’s accrued notable wins as far back as 2004 across multiple titles. When it came time for him to tie the knot this past weekend, Haitani organized a handful of quick exhibitions in three of his most accomplished games as part of the reception, all played with his bride at his side. 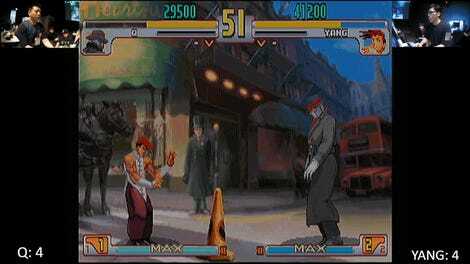 Haitani started the night with a matchup against fellow Street Fighter god Naoto Sako in a non-Street Fighter game. Vampire Savior (known as Darkstalkers 3 outside of Japan) is kind of like Street Fighter’s cooler, younger brother, a fast-paced brawler that incorporates horror themes instead of martial arts. It’s also where both Haitani and Sako first made a name for themselves, so it was only natural they face off one more time with Sasquatch and B.B. Hood. Next up was another of the five Street Fighter gods, Shinya “Nuki” Ohnuki, in Street Fighter III: 3rd Strike. 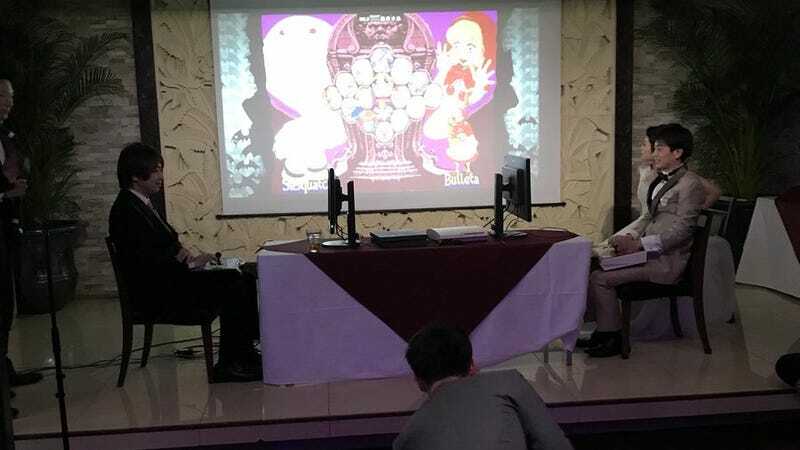 Despite being only a day removed from competing at the prestigious Cooperation Cup, both players were eager to jump into another parry- and super-heavy match. The last Street Fighter god to step up to the plate was Hajime “Tokido” Taniguchi. As the reigning Evo champion for Street Fighter V, Haitani took a huge risk in inviting Tokido to a match, but he was able to close out his night of competition with a perfect record; I’m sure the guests were all eager to crush the groom on his wedding night. The fighting game community is a passionate bunch, and Haitani’s wedding proves it. Many of the invited guests were players he met while competing at tournaments across the globe—most of who dressed a little better than Daigo Umehara for the celebration of a major life occasion. Of course, you can only keep these folks away from fighting games for so long. They made sure to throw an afterparty at a local arcade for everyone to get a few more matches of Ultra Street Fighter IV, Guilty Gear Xrd Rev 2, and Super Street Fighter II Turbo squared away before the night ended.